In the form of national roadshows and webinars, by inviting representative enterprises and experts, we are going to share with our audience variety of application cases and to brainstorm about the future development of the industry. Committing to the sustainable development of China 3D printing industry, we work effortlessly to open up an industry-oriented activity which combing the efforts of different application fields and local industry resources. More information please keep an eye on the 6th iPrint 3D Expo. Stay tuned! Industrial 3D Printers, Desktop 3D Printers and other 3D Printing or Additive Manufacturing Machines (Rapid Prototyping Machines, Rapid Manufacturing Equipment), 3D Printer Accessories. 3D Scanners, 3D Laser Engraving Machines, Laser Plate-making, Three-Dimensional Measurement, Laser Tracker, 3D Cameras, Three-dimensional Design Systems, Motion Capture Systems, Three-Dimensional Imaging Measurement Systems, Numerical Control Systems, Detection and Reverse Engineering Software, Three-Dimensional Detection Software, 3D Design Software, Printing Software etc. Photosensitive Resins, Plastic Powder Materials (Nylon, Nylon, Glass Filler, Nylon, Carbon Fiber, Nylon, Aluminum Powder, Peek Material), Metallic Powder Materials (Die Steel, Titanium, Aluminum-Cocrmo Alloys, Iron-Nickel Alloy), 3D Printing Technology, Other Rapid Prototyping Technology, Reverse Engineering Technology, Surface Treatments, etc. 3D Pritning, Rapid Prototyping, Plate-making and other Reverse Engineering, Three-dimensional Scanning and Measurement Services, etc. Save your time and expense by visiting 5 different exhibitions (RemaxWorld Expo and iPrint 3D Expo on Oct. 12-14, Hong Kong Electronic Fair on Oct. 13-16, Canton Fair on Oct. 15-19, Mega Show on Oct. 20-23) in the same trip in the Guangdong and Hong Kong precincts. This exhibition is excellent, and it is showcasing together with the world’s largest printing consumables exhibition, which is quite a highlight. 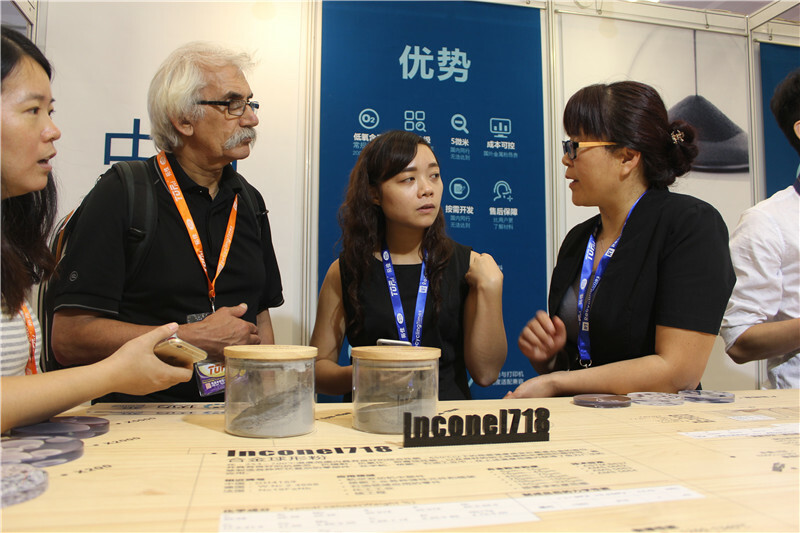 Nearly 140,000 visitors gathering together from all over the world, and among these visitors, there are a lot of professional buyers, who is passionately interested about 3D printing. The parallel conference also shares some topics which is quite worth of discussing, it is thrilling to see HP and some other industry experts also joined the event. The exhibition is a success and it is also a sight. The students came to the exhibition and the Maker Competition Awards Ceremony, and the host obviously provided them with a very good communication platform. Students can learn a lot by exchanging ideas with contestants from various cultural backgrounds.